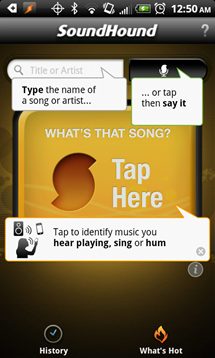 If you've ever needed to identify a song that is playing somewhere around you, you've probably already used SoundHound or Shazam which both listen to your surroundings and pop up the best guess - usually right on the money. The two apps are pretty similar, though they obviously use different algorithms, so I always keep both on my phone just in case. 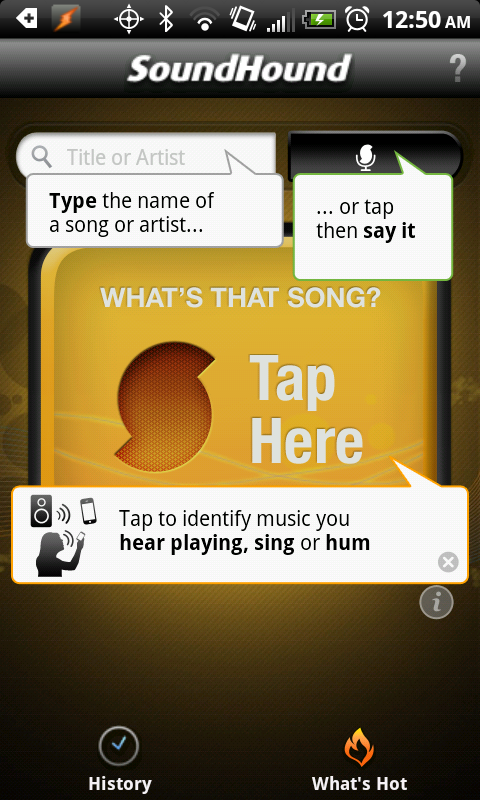 Additionally, SoundHound recognizes humming and whistling, which makes it even more valuable. While the free version of Shazam allows only 5 IDs per month, SoundHound went unlimited in their basic app a few months back. 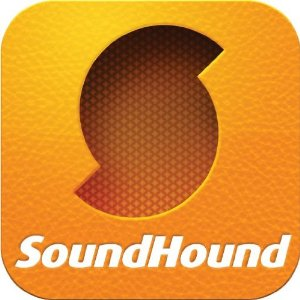 So, why would anyone use SoundHound Infinity then, a $5 app that is free in the Amazon Appstore today, when they could identify an unlimited amount of songs for free? 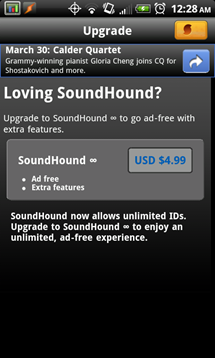 Have a look at the screenshots of the free version of SoundHound that I just took - the ads are pretty in-your-face, aren't they? 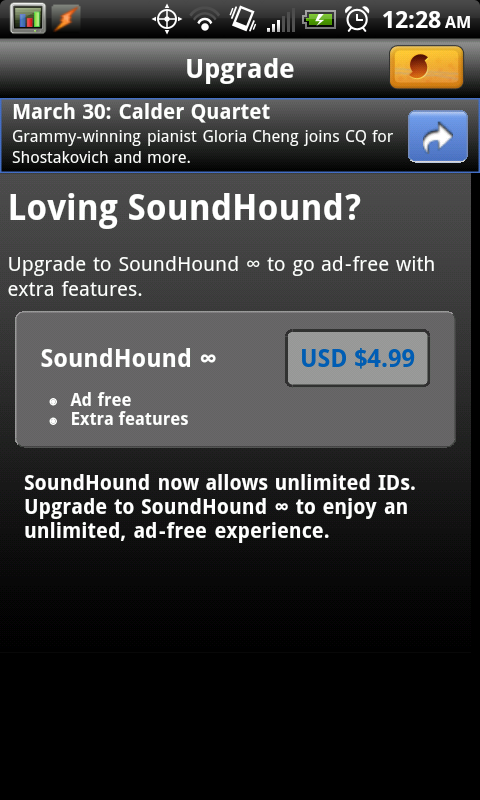 Considering today SoundHound Infinity is completely free, there is no reason to pass on the deal whatsoever (unless you're outside the U.S. that is). Not bad at all, Amazon - I am starting to find myself giddy as the clock strikes midnight every day.